Be the one to make a difference in your students’ thinking! With more than 100 games to choose from, Brain Food is your one-stop source for exploring the fun in learning. This compilation is filled with new as well as traditional games, and most need little more than paper and pencil to get you started. Each game is classroom tested and tailored toward enhancing the intelligences of your students. Games by their very nature require thinking. 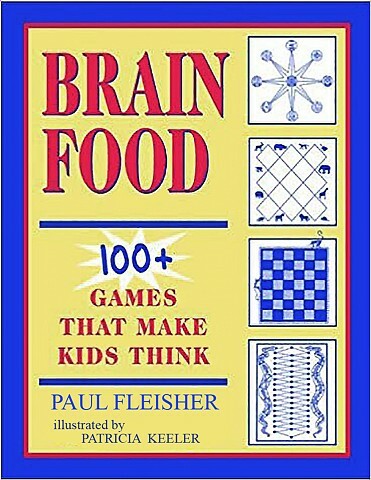 With Brain Food you’ll get teaching tools such as "Alphamazement"—a game of strategy that combines the visual and verbal intelligences by having players connect letters of the alphabet in a zigzagging maze. Or try the traditional Maori game "Mu-Torere" to enhance visual and mathematical intelligence.